Hand Raised Little Lovables...We are a small in home cattery devoted to raising healthy and happy BST and Snow kittens. TICA outstanding Cattery, and member of TIBBA,TIBCS. 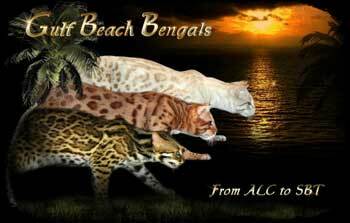 Wild Beach Bengals is a TICA show home and in-home cattery. 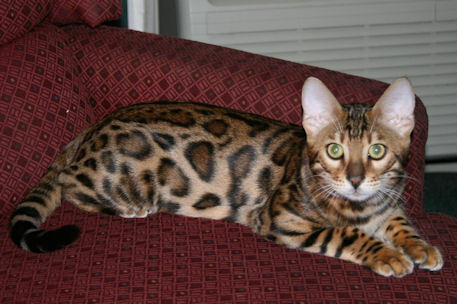 Our breeding program is focused on producing healthy, happy, cutting edge Bengals with excellent type and large, colorful rosettes. Our cats and kittens are raised in our home with daily socialization, compliments of our two kitten-loving daughters and Cavalier King Charles Spaniels. 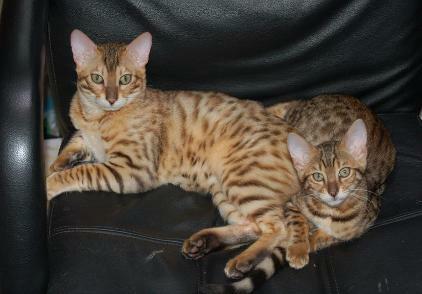 Our cattery is a member in good standing with TICA. Our cats receive the best in veterinary care including FIV/FeLV testing and are regularly screened for HCM. 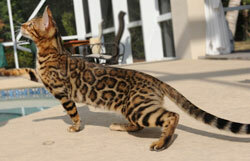 Bearbrook Bengals is a small cattery in central Florida. Our cats and kittens are loved, well socialized and raised underfoot. 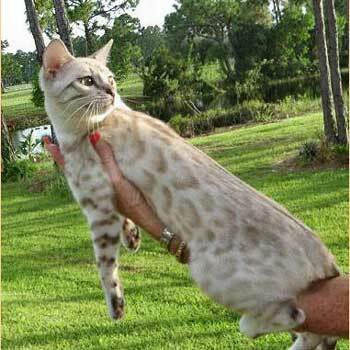 Our goal is to breed quality kittens that are social, well balanced and to improve the breed according to the Bengal Standards. We follow the Tica Code of Ethics. 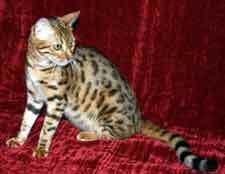 All our cats and kittens come with health contract guarantee. 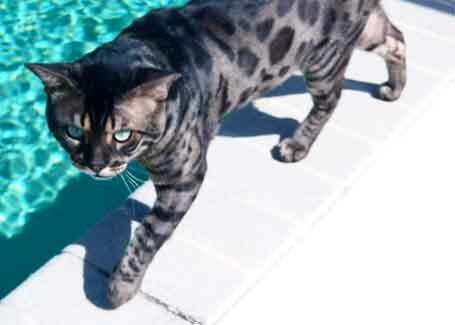 Charcoal colored Bengals have been our focus since 2008! The emphasis has been on charcoals with rosettes with superior temperament. We also have browns and charcoal snows! Kittens are raised underfoot and highly socialized from day #1 in a loving family environment with kids. All queens and studs on premises. Visitors welcome!